Chikka Tirupathi temple in Karnataka, as the name suggests, is mini Tirumala Venkateswara temple. The story of this temple goes like this. The epic Mahabharata war ended. 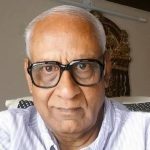 During the war that ensued for a long period in Dwaparayuga, both Kauravas and Pandavas performed several Yagna and Fire rituals everyday and in the name of offerings lot of cooked food items were put into the fire along with ghee to appease the Gods, which had to be consumed by the fire God Agni. The enormous quantity of food items and ghee put into the fire caused indigestion to fire God Agni ending up into severe stomach ache which he could not bear. 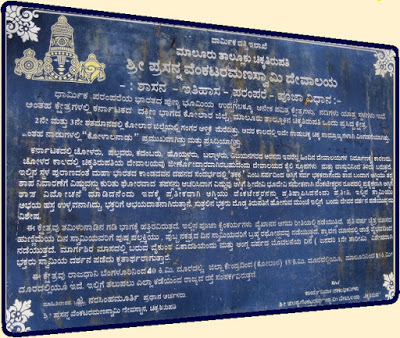 When fire God Agni approached Lord Krishna for a solution to get cured of the severe stomach ache that caused discomfort, Lord Krishna suggested to him to go to a forest called Kandava in Karnataka (now the place is known as Chikka Tirupathi) where stomach pain healing medicinal herbs were available in plenty and if Lord Agni could consume them, he would be rid of the stomach ache. Lord Krishna while suggesting such recourse was unaware of the fact that in the same forest a Serpent from the clan of King of snakes Daksha was sitting in penance seeking the grace of Lord Vishnu who was to incarnate as Tirumala Venkateswara. When fire God Agni reached the forest and began consuming entire trees and plants in Kandava forest that included medicinal herbs, several serpents belonging to the clan of King of snakes Daksha living there died during the incineration while the serpent in penance which got injured in the forest fire managed to escape with great difficulty, but not before cursing fire God Agni that he would lose his energy and firepower. Cursed by the penancing serpent, Agni lost his lustre and power. Therefore perturbed by the curse, fire God Agni went to Krishna again seeking advice and Lord Krishna directed him to seek the mercy of Lord Shiva to get rid of the curse. When fire God Agni reached Lord Shiva seeking his grace to get back the lost energy and power, he suggested that only way to get back the lost lustre and power was by appeasing Lord Vishnu as the curse is from the clan of Lord Vishnu’s bed on sea, a serpent. 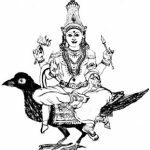 Since the serpent hurt was from the clan of Lord Vishnu’s carrier on sea, and hurt in the incineration of forest fire when it was in penance, only Lord Vishnu can redeem the lustre and power by pardoning fire God Agni, though the act was unintentional. Fire God Agni began searching for Lord Vishnu and heard that he was resting somewhere in the Kandava forest in Karnataka and therefore rushed there to pray and invoke his blessings to get the curse freed. The Kandava forest then was spread in an huge area, thickly vegetated with several caves and pits inhabited in it. 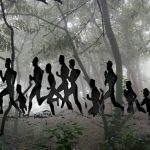 Since the forest was dense and spread out to several acres of area fire God Agni could not trace Lord Vishnu who actually played hide and seek game to tire him out and test his patience. Dejected fire God Agni therefore sat in the same place where the present temple exist and performed penance seeking grace of Lord Vishnu to redeem his lost powers. Pleased with the arduous tapas and penance of fire God Agni, Lord Vishnu who was none else but Lord Krishna himself who advised fire God Agni to visit Kandava forest, appeared before him to grant him the boon he desired. In fact Lord Krishna had a hidden agenda behind the entire episode. Several centuries prior to this episode once the serpent King Daksha sought a boon from Lord Vishnu that since a majority of his clan lived in Kandava forest that (now Chikka Tirumala) they expressed their desire to worship Lord Vishnu in the form of Tirumala Venkateswara without the fear of being killed by humans on way to Tirumala and therefore Lord Vishnu should also manifest in Kandava forest as Tirumala Venkateswara to enable his clan worship him without fear. Reacting positively to the request of the Serpent King, Lord Vishnu assured him that he would certainly manifest in Kandava forest as Tirumala Venkateswara and settle there in a temple where those affiliated with Naga Dosha (sin of killing snakes or curse of snakes) could come, worship him and get rid of their sins. The temple shall also be then called mini Tirumala. 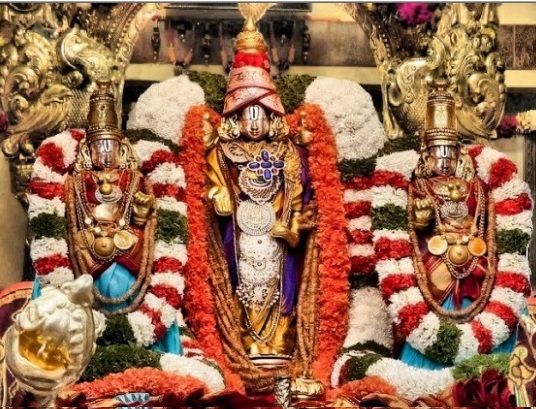 Further Lord Vishnu proclaimed that those who cannot afford to visit Tirumala for any reason, if they visit the temple in Chikka Tirupathi and worship him as Tirumala Venkateswara, their wishes would be fulfilled in the same manner as they were blessed in Tirumala. One clarification needs to be mentioned here. 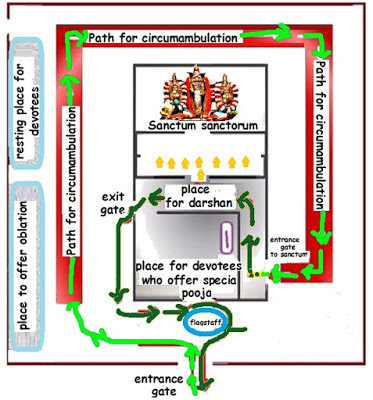 When this episode occurred, neither the Tirumala temple nor Chikka Tirupathi were established then, but Lord Vishnu aware of what the future held for his incarnations, while assuring the Serpent King that he would manifest in Kandava forest, he was well aware that a smaller shrine for the benefit of the clan of the King of serpent shall first come up in Kandava forest which shall be the mini shrine of a bigger shrine to come up few kilometers away from there for the benefit of larger human kind. 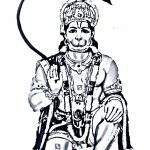 However both the shrines shall have the same powers as he shall be the prime deity holding same powers in both the places but in different forms. Therefore one need not get confused when the names of Chikka Tirupathi, Tirumala and Venkateswara are mentioned in the course of the story narrated above. While back to the main story again, with the curse on Lord Agni removed, he regained his powers and energy and went back to continue his duties. Later some time, when fire God proceeded to Tirumala to worship Lord Vishnu who was camping there, on way he happened to cross Kandava forest again and rested there for a while and established a temple for Lord Vishnu in the midst of the forest for the convenience of the serpents living there to worship Lord Vishnu as part of the promise he gave to the King of Serpents when his curse was removed by Lord Vishnu. The temple thus came to be called Chikka Tirupathi meaning mini Tirupathi (Tirumala). 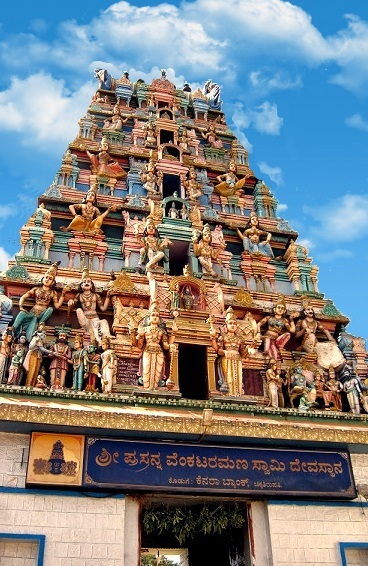 Hence in Karnataka the snakes are not generally killed and are revered highly and most of the temple has a sanctum for several forms of snake gods. At Chikka Tirupathi the lord is standing with his consort Sri Devi and Bhoo Devi, and there is no separate sanctum for Goddess Padmavathi. Chikka Tirumala has the same sort of rituals carried out as in Tirumala. The lord here is called as ‘Prasanna Venkateswara’. All the functions that are held at Tirumala are also held here. Those who are affiliated with Naga Dosha (sin of killing snakes or curse of snakes) come here to worship the Lord to get rid of their sins. The interesting feature in this temple has been that the right hand of the lord Venkateswara is in upwards position showing Abhayahastha mudran (expressing—Fear not, I am here to protect you), where as in Tirumala Tirupathi his right hand is facing downwards showing Varada mudran (expressing –I will give you the boons for your material enjoyment). It is not known when the temple has been established, but since it was reportedly established by Lord Agni, it could be a dateless temple established in the dense forest in open space as place of worship and later converted into a temple during Chola period. 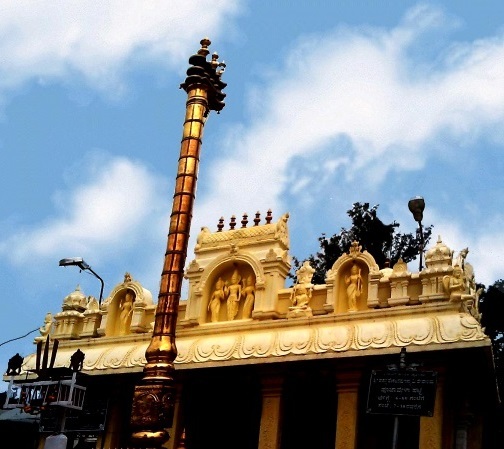 Chikka Tirupathi temple located 40 kilometers away from Bangalore is situated in Malur taluk in Kolar district. One can also easily travel to this site from Bangalore travelling via Shajapur Road. The easy route to reach the temple site could be to first reach Hosur bus stand, enter the road leading to Bagalur and continue traveling for about 15 kilometers till you reach end of Shajapur. At the end of Shajapur road you can see a signboard showing way to Chikka Tirupathi and continue travelling following the route shown in signboard. The distance between Hosur to Chikka Tirupathi is hardly 26 kilometers. Temple Land Line : 08151 238623.